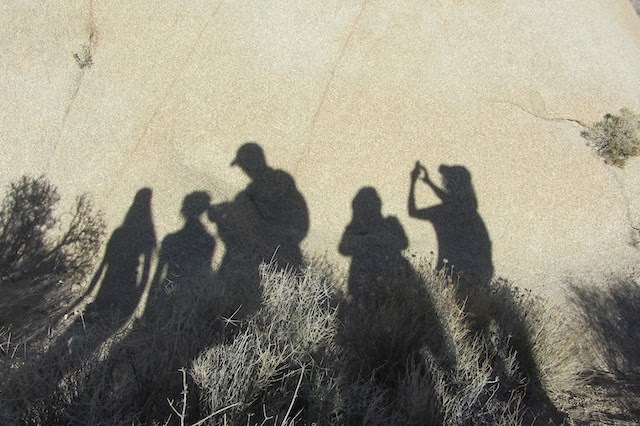 Mae Travels: Sunlight and Shadows at Joshua Tree N.P. This, of course, is a Joshua Tree. Some are shaggier than others. maybe trufulla trees -- the park service website makes the same observation. the radio was playing a piece by Philip Glass. Perfect sound track! 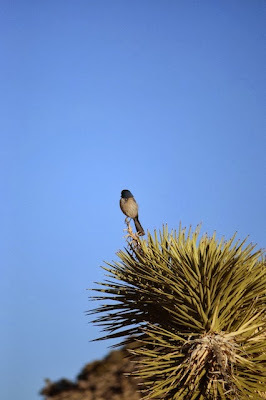 Yucca brevifolia, is a member of the Agave family." 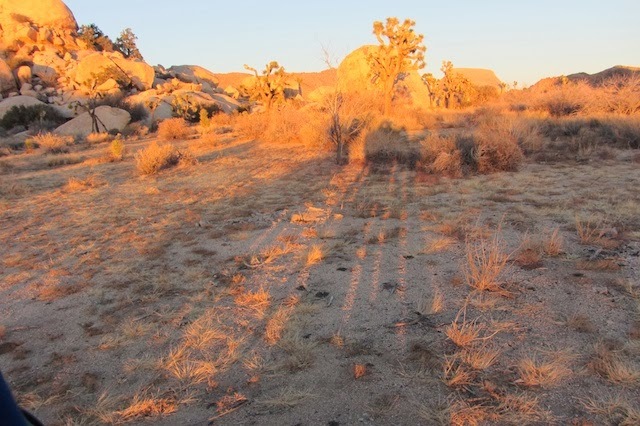 Joshua trees and our shadows again, a bit before sunset. 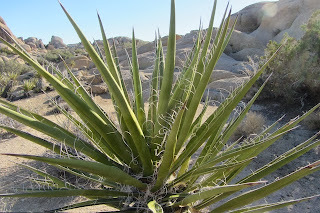 A yucca plant, which the park website says is easy to confuse with the Josuha tree. 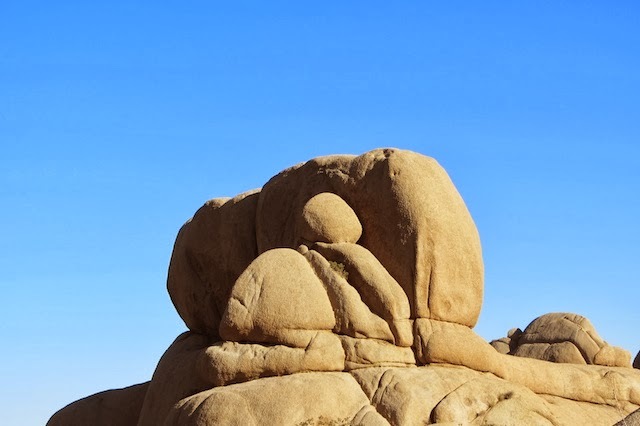 "Years ago the Joshua tree was recognized by American Indians for its useful properties: tough leaves were worked into baskets and sandals, and flower buds and raw or roasted seeds made a healthy addition to the diet. 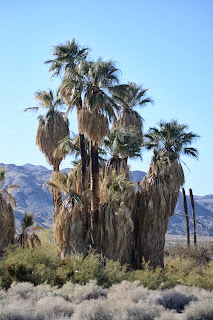 The local Cahuilla have long referred to the tree as “hunuvat chiy’a” or “humwichawa;” both names are used by a few elders fluent in the language. "By the mid-19th century, Mormon immigrants had made their way across the Colorado River. 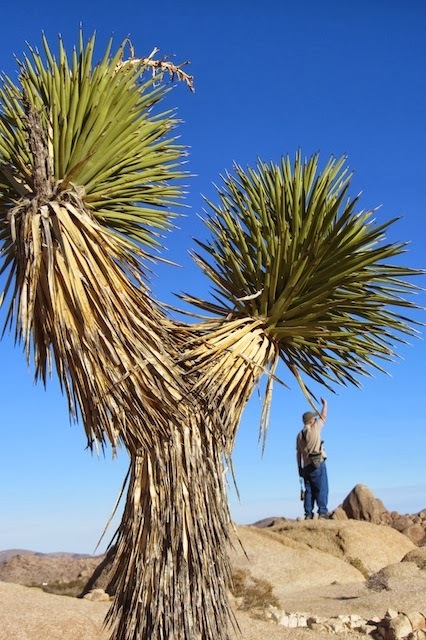 Legend has it that these pioneers named the tree after the biblical figure, Joshua, seeing the limbs of the tree as outstretched in supplication, guiding the travelers westward. Concurrent with Mormon settlers, ranchers and miners arrived in the high desert with high hopes of raising cattle and digging for gold. These homesteaders used the Joshua tree’s limbs and trunks for fencing and corrals. Miners found a source of fuel for the steam engines used in processing ore."
The Oasis of Mara, where we took our first walk in the park this afternoon, is being protected and preserved by the National Park Service, but miners and also farmers were a major threat to its integrity long ago. They took large quantities of water away from the natural pools and underground reservoirs of water that nurtured the palms. Native American residents had moved away from their village in the oasis 100 years ago. They survived the 19th century miners etc, but ultimately they were unable to sustain their life there. Now part of the park, the oasis belongs to the palm trees, small animals, and numerous birds, which all depend on piped-in water because the natural water totally dried up by 1947. New housing developments surround the oasis now: they are part of the landscape one sees on the half-mile paved loop trail outside the visitor center. Yes, you could think of the Lorax who spoke for the trees as you walk through this vestige of the past; fortunately the rest of the park seems less endangered. WOW! 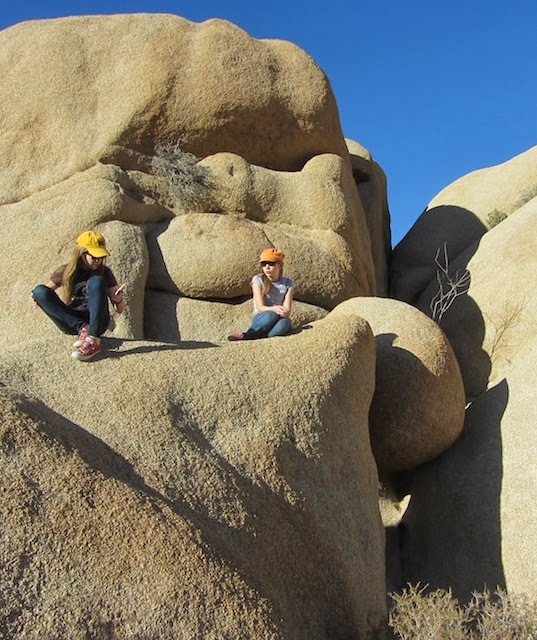 It IS Dr. Suessey -- and the rock formations very Henry Moore! Looks like such fun!